Q: What are the medias can be imported into DaVinci Resolve software? Does MOV files included? 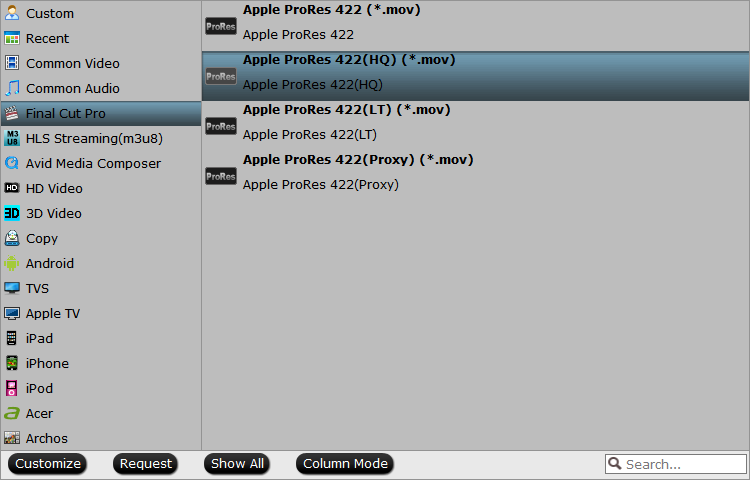 Of course, not any kind of formats can be identified by DaVinci Resolve software. When encounter the incompatible issues with DaVinci Resolve software, we should not only look at the format itself, but also consider the codec of the files. 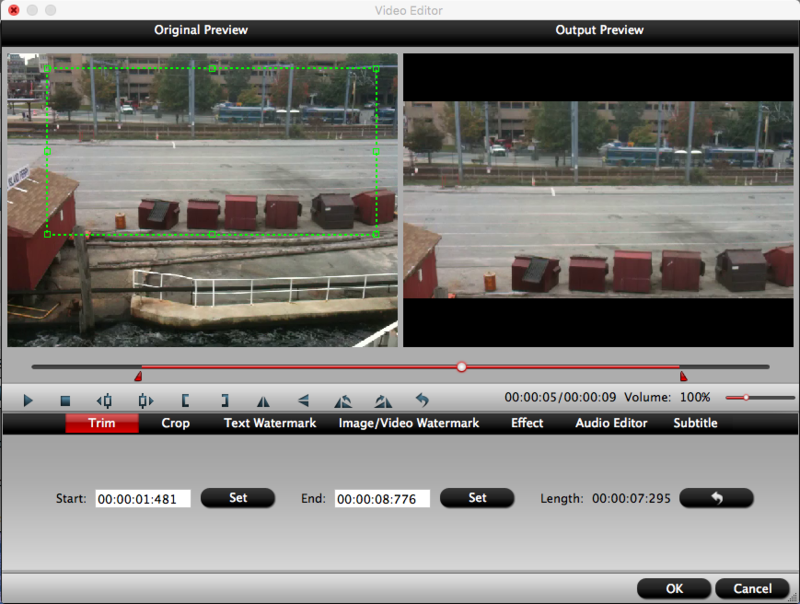 MOV is a container format that means it can contain video, audio using many different combinations of codecs, and it mentioned above, the HQ and HQX MOV are supported by DaVinci Resolve. Your MOV format is not recognized is likely to be encoded in other codecs except HQ and HQX. For Windows systems, the installation process will require the installation of DaVinci's Quicktime player. This is an important step to ensure that DaVinci able to recognize MOV format files. For Mac systems you do not have to consider this issue, because QuickTime was developed by Apple and is one of the the standard codecs built-in in Mac OS. Also you are suggested to know more powerful features that are included in this nonlinear editing application from DaVinci. 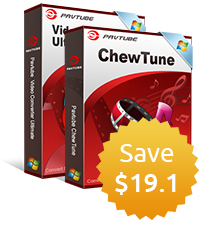 For whatever reason you have unpleasant experience editing MOV in DaVinci Resolve, we would recommend Pavtube HD Video Converter for Mac (support Mac OS X El Capitan) for you. 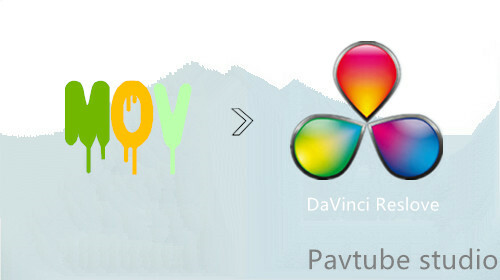 With it you can convert unrecognized MOV to Davinci Resolve best editing formats, such as ProRes (HQ) .MOV, which DaVinci Resolve will recognize and handle well. In view of Da Vinci Resolve is much more focused on color correction, you can directly choose to trim, crop, add watermark, subtitles to your original videos with the built-in video editor in this this program. Meanwhile, the program also helps to import other files such as AVCHD M2TS files, iPhone 6S/6S Plus 4K video or other incompatible video formats such as MKV/MTS/MXF/AVI/MP4/FLV to Davinci Resolve for professional non-linear editing. Step 1: Load the MOV files. Click "Add" button to load unrecognized *.mov files or directly drag the footage to the program. You can check the "Merge into one" box to join several video files together. 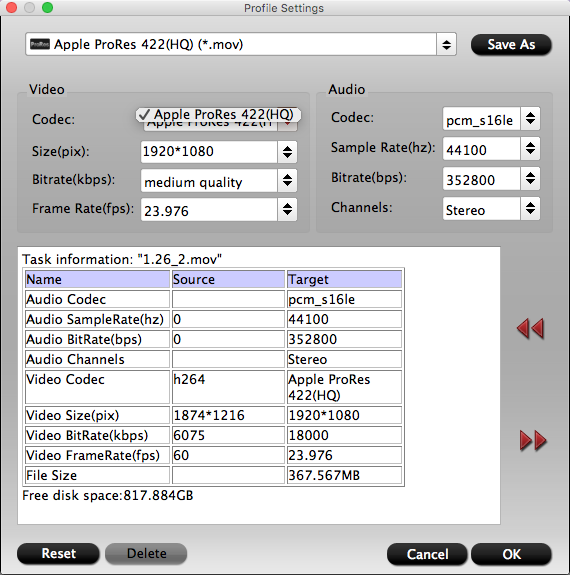 From "Final Cut Pro" catalogue, and select "Apple ProRes 422(HQ) (*.mov)" as target format. Tip: If necessary, you can click "Settings" button and go to "Profiles Settings" panel to modify video and audio settings like video encoder, resolution, video bit rate, frame rate, aspect ratio, audio encoder, sample rate, audio bit rate, and audio channels. Step 3: Edit MOV files. 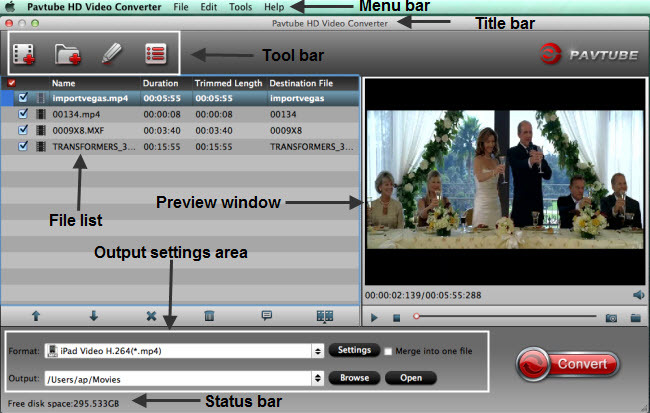 Select one item to active the "Video Editor" functions, click the pencil like icon on the main interface to open the "Video Editor" Window, you can play and preview the original video and output effects. Also you can flip video, trim, add special effect, reset, and adjust volume. Step 4: Start the conversion. Go back to the main UI and click "Convert"button to start unrecognized *.mov to DaVinci Resolve best suitable ProRes 422(HQ) (*.mov) format conversion process. When the conversion is done, click "Open Output Folder" button to pop out the folder with converted files, then you can add those files into DaVinci Resolve Media Pool without any issues.